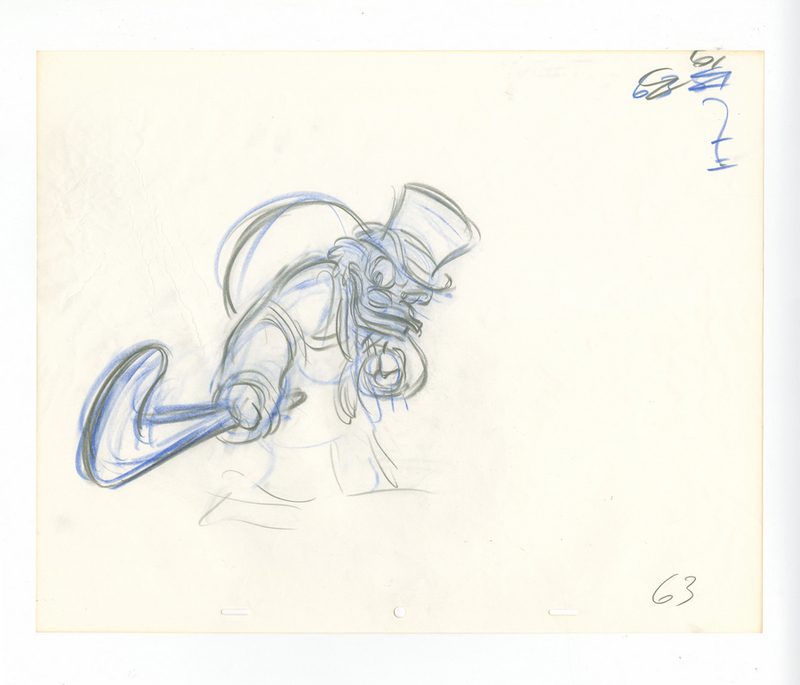 This is an original production drawing from the Walt Disney Studios production of Mickey's Christmas Carol (1983). 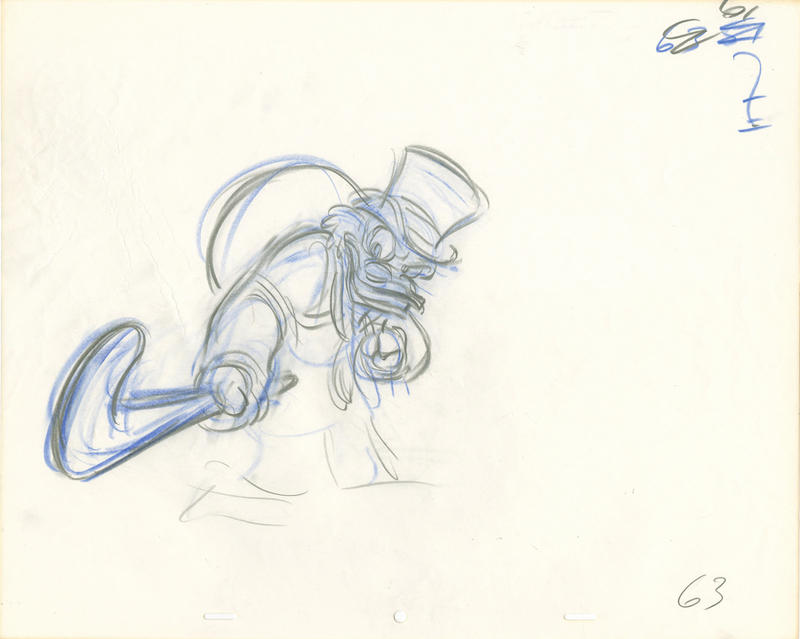 This drawing features a fantastic rough image of an angry Scrooge swinging his cane, and was created at the studio and used during the production of the film. This gorgeous drawing was created by one of the masters of modern animation, and Oscar winning animator, Glen Keane. The overall measurements of the piece are 12.5" x 15.5" and the image itself measures 7.5" x 8.5". The drawing is in excellent condition.